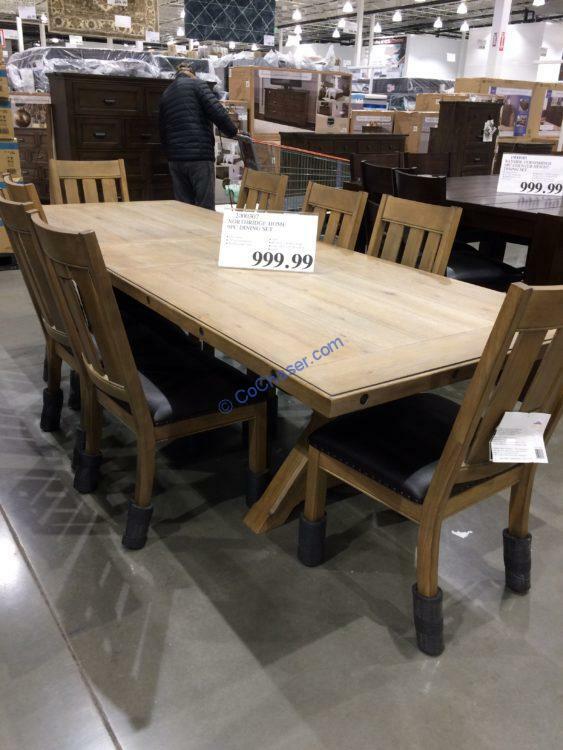 Anchor your formal dining space in contemporary farmhouse style with this 9PC dining set, including one table and eight chairs. Its rectangular tabletop features recessed panel sides and two 18” self-storing leaves. Each chair is bonded leather upholstered seats and four protective floor glides. Perfect for weekday meals and large family gatherings alike, this table comfortably seats up to eight guests when fully expanded.